Let’s face it, it’s pickle season. Everywhere I turn it seems as though a jar of pickles are out, whether for snacking on, or as a side companion to a grilled burger, or better yet a bloody mary. For the last few weeks I have been making quick pickles, and I typically snack on one when I get home from work. The thing I love about making these quick pickles is that you can really make them however you want, and this past batch was really one inspired by a quick trip to my local farmer’s market. Kirby pickles were everywhere, and they caught my attention. 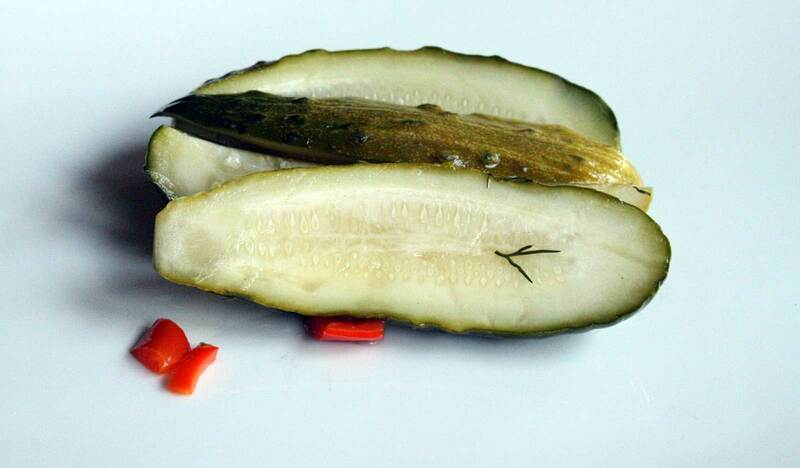 I picked up a batch, along with some banana peppers, dill, and garlic, and hence where this pickle recipe came from. Start by adding the vinegar, sugar, salt, and water to a sauce pan. Bring to a boil, then remove from the stove, and let the pickling liquid cool. As it cools, toss in the dill, garlic, and banana peppers. 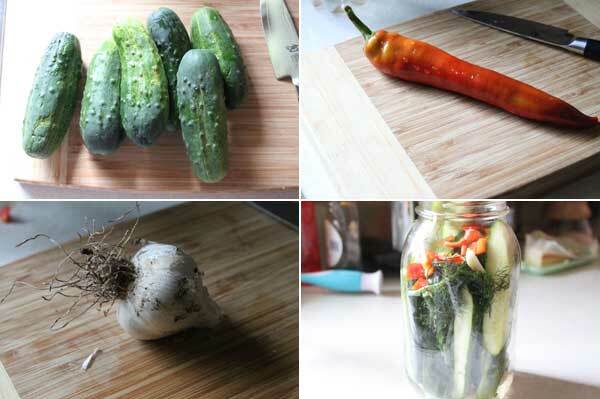 To a large mason jar, add in the halved kirby pickles. pour in all of the pickling mixture to cover the pickles, and cover with the lid. Let these sit for a couple of days to let all of the flavors meld, then dig into them as you would any other pickle. These things are great. You get a bit of the dill, the garlic, and a subtle heat from the peppers. A perfect use farmers market ingredients, and a super simple recipe to boot. Hope you enjoy! Let these sit for a couple of days to let all of the flavors meld, then dig into them as you would any other pickle.